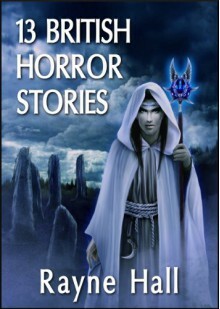 Thirteen creepy, atmospheric stories by Rayne Hall, all set in Britain.This collection includes:Take me to St Roch'sSeagullsNever Leave MeDouble RainbowsScruplesThrough the TunnelThe Devil You KnowI Dived the PandoraFour Bony HandsBeltaneDruid Stones.BurningOnly a FoolThe stories have been previously published in magazines, ezines, anthologies and collections. Some are also included in the Six Scary Tales books. The words, spellings, grammar and punctuation are British English.